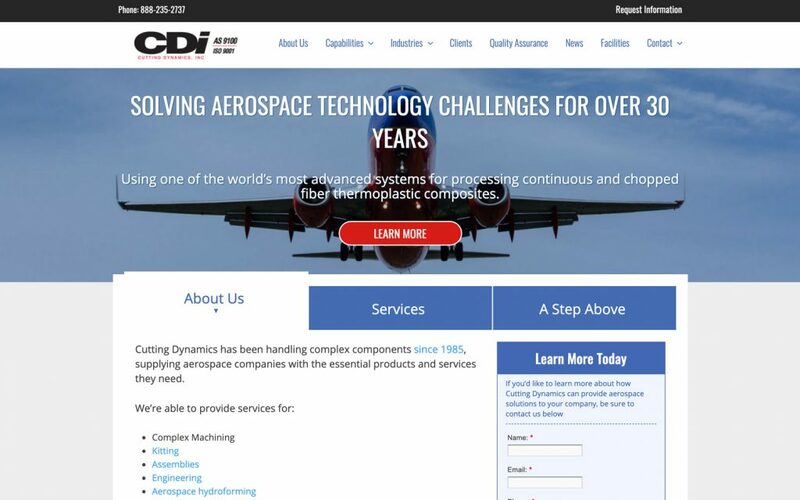 Cutting Dynamics has been supplying aerospace companies with the essential products and services they need since 1985. They engaged my client, Sixth City Marketing, in 2017 to develop a new custom website for their company. Their new site’s design was provided to Sixth City by Cutting Dynamics. As a web developer for Sixth City, I developed a new custom-made site to the specs of the provided designs.